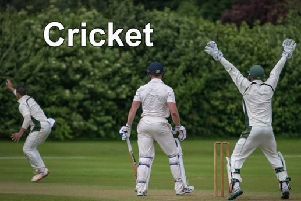 Louth Cricket Club First XI have been given a tough baptism as the Lincs ECB Premier Division returns for the 2019 season on Saturday. The Firsts host reigning champions Bracebridge Heath, the division’s traditional powerhouses, at London Road, with a noon start. Louth ended a disappointing 2018 season in 10th, just one place above the relegation spots, and will be keen to improve. Louth’s Second XI begin their first division campaign in the Lincolnshire County League at Alkborough (1.30pm start).